Dr Castillo, Head of Neuro-Ophthalmology and Teaching Department at Institut Català de Retina, has initiated, alongside the Research Department, a clinical trial developed by Santhera Pharmaceuticals, for which participants affected by Leber Optic Neuropathy (LHON), older than 12 years old and of all genders, are being recruited. The disease must have triggered in the last five years and patients affected must have any of the common mutations (G11778A, G3460A o T14484C). What kind of disease is Leber’s optic neuropathy? Leber’s optic neuropathy is a neurodegenerative mitochondrial disease that affects the optic nerve and is characterized by a sudden vision loss in young adults that are genetic carriers of the disease. 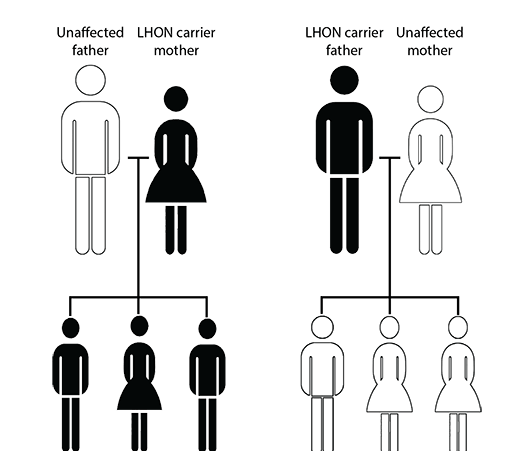 LHON is considered an Orpha disease, which means is a rare disease. Its prevalence is really low, and not all mutation carriers developed the symptoms. This means the participant search for the trial is an essential task. Moreover, since it is a mitochondrial disease, only women transmit it genetically to their children, while men carriers do not transmit it. Dr Castillo, besides leading the research, has also studied the disease in the editorial Leber Hereditary Optic Neuropathy: what therapeutic perspectives do we have? that will be published shortly in the journal Archivos de la Sociedad Española de Oftalmología, and where she analyses and provides her opinion on new therapeutic perspectives for the disease. The clinical trial, which is currently in participant recruitment phase, is being carried out at a European level, and in Catalonia, Institut Català de Retina is the only centre the develops it. In Spain, only another centre is also performing the trial. Before participating in the trial, there are several exclusion criteria to highlight, especially having previously undergone a treatment with idebenone. If you wish to read further on the trial, you can check the clinical trial’s website, officially registered at the USA National Health Institute. I am inquiring on behalf of my dear friend Allan, regarding the clinical study on LHON. Our Research Department will contact you directly to inform you regarding the LHON study.